Testing & Mitigation | Home Radon Detection Company Inc.
Home Radon Detection Company only tests for and mitigates radon in homes and businesses. We believe that the prevention of indoor radon buildup is too important to be left in the hands of someone not properly trained or certified. Our focus makes us the Kansas City area professionals when it comes to testing for radon in the home. We also carry insurance for our work and our workers. Because of the earth’s composition around the Kansas City area, radon poses a particular danger, and testing is the only way to determine a particular build’s risk level. There are several different kinds of tests that can be used to determine the concentration of radon in a home. We place the measurement device on the lowest inhabited floor of the building where radon tends to be the most concentrated. Our specialized testing equipment measures the concentration of radon on ongoing basis for a 2 to 4 day period. Known as active testing, we can measure the concentration of radon at different points in the day over the testing period. Since radon levels fluctuate depending on many environmental factor even including the weather, multi-day testing helps us identify the true danger being posed. The EPA recommends a maximum safe concentration of 4.0 picoCuries per liter (pCi/L) of air. If we find that this radon is at or above this level in your home, we’ll take immediate action to mitigate the radioactive gas. Since no amount of radiation is safe, even concentrations below 4.0 pCi/L can have a negative impact on health, and mitigation may be considered when concentrations are above 2.0 pCi/L. While not required by law in Kansas or Missouri, before buying any home or commercial building, it is highly recommended that a professional test be performed to determine concentrations of radon gas. Most realtors and other professionals will not sell a building before such a test is performed. 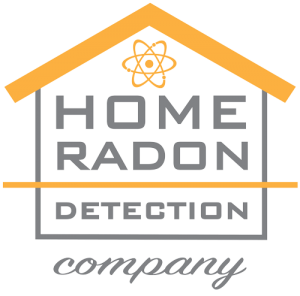 If you are considering selling or purchasing a home in the Kansas City area, Home Radon Detection Company is your go-to team to keep your family safe. After testing has been performed, and if radon concentrations are shown to be at a dangerous level, we begin the mitigation process. Mitigation will reduce the concentration of radon gas that you and your family breathe. Each home with a radon problem is different, and that means there are many different techniques for mitigating the concentration. Radon enters the home because, as a gas, the molecules seek to find a place where they are less confined, like when they are stuck in soil. Most mitigation techniques focus on redirecting these molecules to the exterior of the building by creating an easier path for them to escape. Because of how dangerous radon is, one should always hire a certified and trained professional to perform mitigation. After testing, we assess what the best course of action is for permanently reducing radon levels. These efforts focus on preventing radon from entering the building in entering in the first place, and secondly removing radon that is already inside. Our friendly professionals will visually asses your home, and may perform other tests, to determine what will best protect your home. To protect you, we work as quickly as possible because we believe that the sooner radon is removed from your home the better.